Surely you are not surprised that our passion for plants expands beyond the store? Let us help you care for your plants. Our trained and dedicated team is committed to providing a service that includes all of the elements necessary for your plants to remain in excellent condition. Once a consultation has been performed and you have accepted our Maintenance Proposal an Interior Gardens Plant Technician will visit your home or business once a week to care for your plants and ensure they are thriving in their new environment. 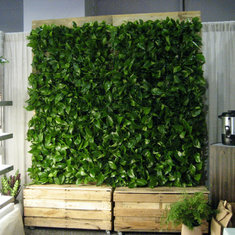 We provide live greenery for convention exhibits, trade shows, and other special events. Our goal is to meet all of your plant rental needs from an orchid arrangement to a tropical jungle and because we are local we can provide superior service and the best quality plant material in the Valley, guaranteed! Delivered on time and on budget, explore how we can work together to create an unforgettable experience. Keep up to date with everything Interior Gardens has to offer by signing up for our monthly newsletter. Aside from the obvious aesthetic of plants in your living space, they induce health benefits for the mind and body. 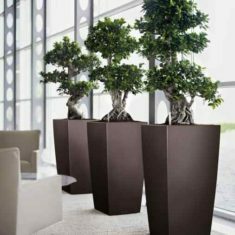 Interior landscape plants remove harmful toxins in the air, creating more breathable air and positive energy. 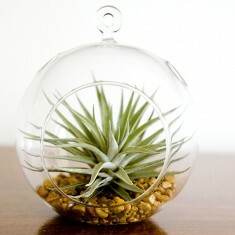 Their beauty and bountiful health benefits are a bonus for any room or decor.